Check out eBooks and audiobooks from this consortium of sixteen libraries, including Highland County Public Library. 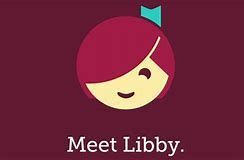 Download the Libby app to your device for easy downloading and reading. The loan period is fourteen days after which the item simply disappears from your device. Library card number required. RBdigital eBook/eAudiobook is a free software for patrons to download e-magazines, e-audiobooks and e-books directly to their iOS, Android, Kindle Fire, or Nook devices. Resources can also be downloaded onto a patron’s computer in order to transfer them to mobile devices. Patrons must create an account using their own library card from Highland County Public Library before downloading. Freading is an ebook lending software that allows simultaneous use of their collection among patrons. Patrons create an account through the Highland County Public Library's subscription. The ebooks offered are compatible on IOS, most Android devices, Nook, and the Kindle fire. NoveList Plus Can’t decide what to read next? Need a recommendation for a child, student or family member? Use Novelist to discover your next favorite author, series, or title! RBdigital Magazines (formerly known as Zinio) is a electronic newsstand that offers digital downloads of popular magazines. Patrons create accounts and access titles through Highland County Public Library's subscription. Magazines can be downloaded onto a patron’s computer and even read offline using mobile apps for IOS and Android devices. Freegal® Music is a free music service from your library. All you need is your library card number. Freegal offers access to about 15 million+ songs, including Sony Music’s catalog of legendary artists. In total the collection is comprised of music from over 40,000+ labels with music that originates in over 100 countries. There is no software to download, and there are no digital rights management (DRM) restrictions. Access to Freegal is limited to patrons of subscribing libraries. HCPL allows you to stream three hours a day and download five songs a week to keep. Universal Class offers over 500 online continuing education courses. You get 24/7 access to the site, feedback from certified instructors, courses in over 30 subject areas, self-paced classes, the opportunity to connect with other students, and Continuing Education Units on select courses. Rocket Languages Speak and understand a new language better. With 12 languages to choose from, including American Sign Language, Rocket Languages also features modules in Spanish and Chinese to learn English. Rocket Languages is perfect for the business or traveler learner, as well as extra practice for students. Gale Career Transitions is an online career guidance center that walks users through the job-search process from beginning to end. It brings together all the tools needed to explore and take the leap to a new career. Career Transitions employs a step-by-step approach to help people: explore new career possibilities; assess their interests and experience; identify ways to improve their prospects, including networking and education; prepare for a job search; and search and apply for jobs. MasterFile Complete The most comprehensive and valuable collection of full-text general interest resources. This authoritative general information database is the best place to start your research. ​Practice Reading Skills with Read It! Read It!™ Helps students with a basic foundation in English grammar and reading who need adapted reading material for many subjects and is also a great tool for English Language Learners. ​The Recorder Newspaper Archives are online at the Library of Virginia's Virginia Chronicle page. You can find digital copies of the newspapers from 1889-2007. Search by title or subject. Online resources will require your library card number. Some will allow you to set up username and password so that you can save your progress. If you do not know your Library Card number please call the library at 468-2373. Ancestry.com for Virginians In a partnership with Ancestry.com, the Library of Virginia offers Virginians free access to Library of Virginia materials currently hosted by Ancestry.com, a popular subscription-based service for people conducting family history research.